So practical and oh-so cute! SolarPuff from our friends at Solight Design is a portable light source that you can take on all your TrailblazerGirl adventures. It arrives flat, in the shape of a square with triangles attached on two opposite sides; then once you gently pull on the handles, it puffs out to a cube shape. At the click of a button, you’ll get 90 lumens of light on high for 8 hours and 60 lumens on low for 12 hours when fully charged. There’s also a flash setting for emergencies. 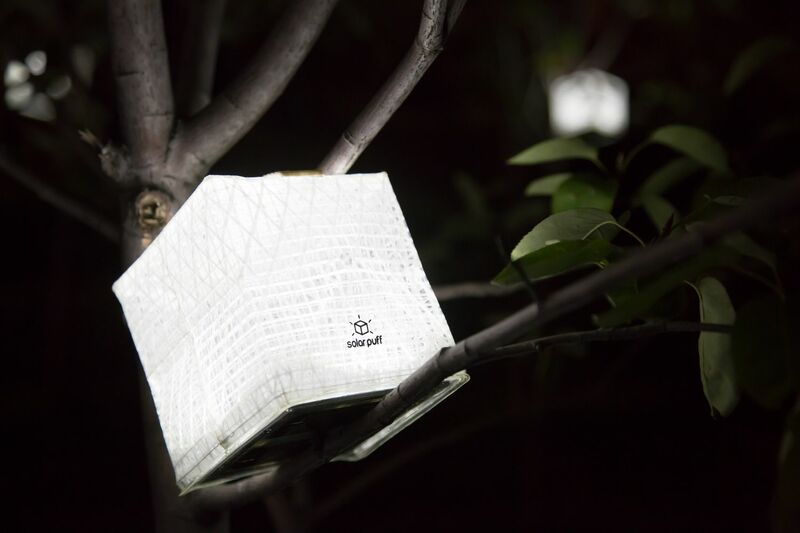 Expose the solar panel to light and in 8 hours, you’ll have a fully charged SolarPuff. It only weighs 2.6 ounces and folds up very flat for easy transport. The velcro handle allows you to hang it in your tent, from a tree, or boat (it’s water resistant!) for a soft lighting glow. SolarPuff is a handy, functional, fun gadget for all your TrailblazerGirl lighting needs!